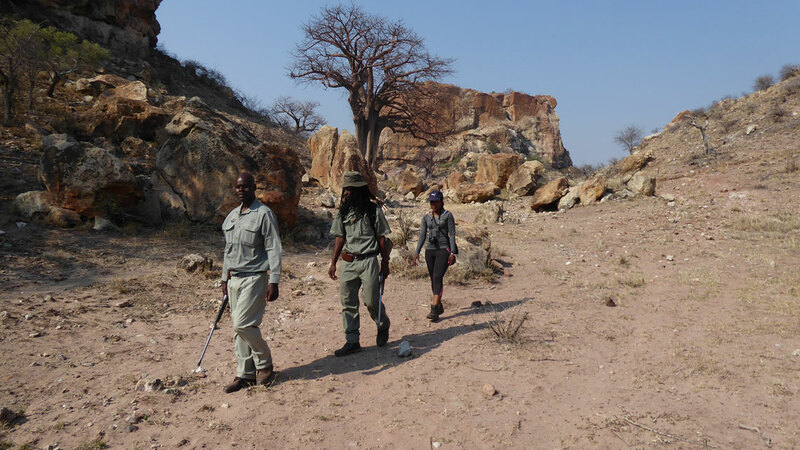 Johannes Masalesa and Cedric Sethlako are trails guides in Mapungubwe National Park, and they make quite a team. Usually, they take visitors up onto Mapungubwe Hill, a UNESCO World Heritage site that gives the park its name, to tell stories of the rich cultural history. But I’ve asked them to take me for a longer walk to explore this stunningly lovely park, and they seemed delighted to compete to share their knowledge of every plant, insect, track and dropping. Mapungubwe’s terrain is very photogenic, with eroded sandstone hills dropping to the floodplain of the Limpopo. There is a great diversity of trees: elegant fever trees, huge nyala trees and fine figs. 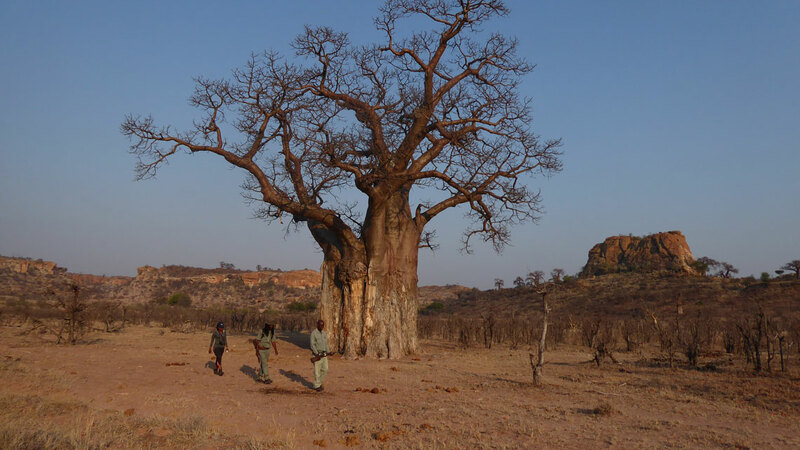 But the eye is always drawn to the many baobabs, now bare without leaves or fruits, sleeping until rains come. Except for one, which was in full leaf. Cedric explained how this one was lucky to find a water source. Pointing at some artfully constructed buffalo weaver bird nests, he told me how to use the tree as a compass – the birds favour the shadier western side. Mapungubwe’s iconic baobabs and rock outcrops are a photographer’s dream. Because they have buffalo in their name, this weaver is sometimes listed as one of Africa’s Little Five, a playful way to encourage us to look beyond the big animals. Although Mapungubwe indeed features the Big Five, one of the pleasures of walking is seeking the smaller things and my guides were happy to oblige, showing me the trap of the larvae of an ant lion, another on the Little Five list. We climbed a koppie to scan for wildlife. Not far, a lone bull elephant was busy attacking a young Transvaal sesame bush to get at its nutritious roots. 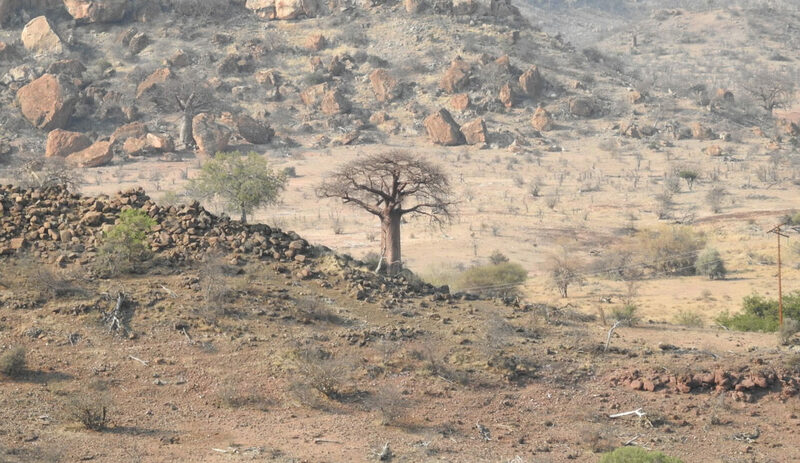 This deep-rooted plant is also food for zebra and kudu and thrives in arid conditions. Another eye-catching plant here is the ilala palm. Johannes told me how useful it is, a source of materials for mats, hats, bangles and brooms, while the fruit can be eaten or fermented for palm wine. 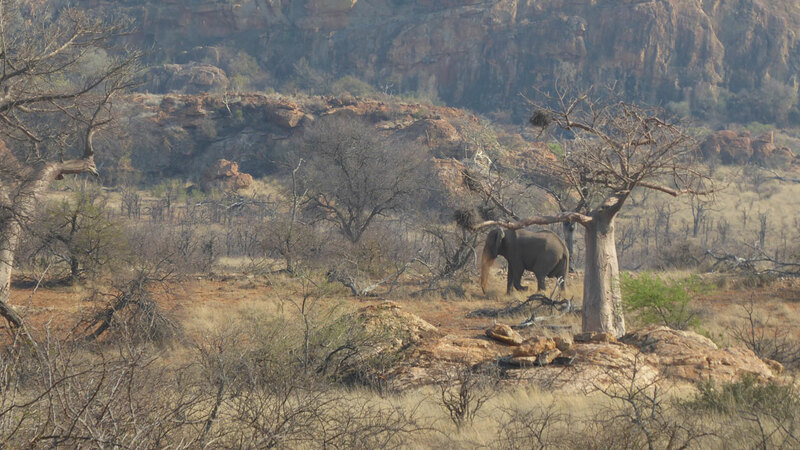 An elephant kicks up dust as it walks through the captivating landscape of Mapungubwe. We watched some dassies – hyrax, or imbila in SiSwati – soaking up in the sun, and Cedric and I remembered the children’s story about how their laziness led to the lack of a tail. “Imbila yeswela umsila ngekulayetela” – the dassie has no tail because it asked others to get one on its behalf. When the animals were called to receive their tails, the dassie told a friend to bring one for him, and stayed lazing on his rock. But the tails had all been given out before the friend could get one. Johannes and Cedric led me to an overhang to show me some San rock art, little human figures in ochre red. It was not hard to imagine the artists lingering here in the heat of the day, telling stories of dassies. When we stepped into the sun again, a klipspringer danced away up a rock face. It was also time for us to escape. There seemed to be a switch flicked at 09:00 that changed the air from comfortable to too hot to walk. I asked Cedric when is the best time of year to visit Mapungubwe, if there is a cooler time. He chuckled and said it’s always hot, and sometimes hotter. But you can tell he and Johannes love the place. 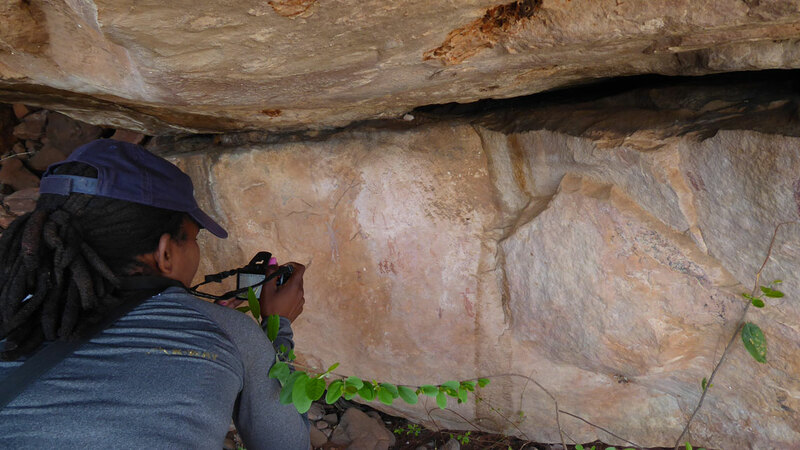 A rock shelter protects San paintings from the harsh African sun. 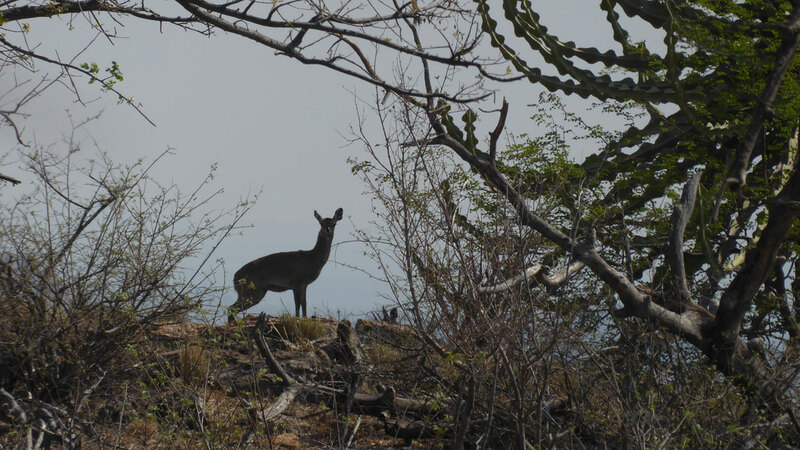 A klipspringer is framed by the vegetation. On foot you have to move quietly and cautiously so as not to scare animals away. Before leaving the park, I drove to the Limpopo and took the Tree Top Walk, a raised boardwalk with views to Botswana and Zimbabwe. A herd of cows was slowly making its way into the park from the Zimbabwe side, a bone of contention as the park vegetation is already looking well chowed by wildlife. There are plans to expand the park and make it a true transfrontier reserve. It would be wonderful if we could in the future roam as freely as those cows. With its prolific birdlife, beautiful trees and interesting topography, it would be ideal for more walks. Before 09:00 at least. 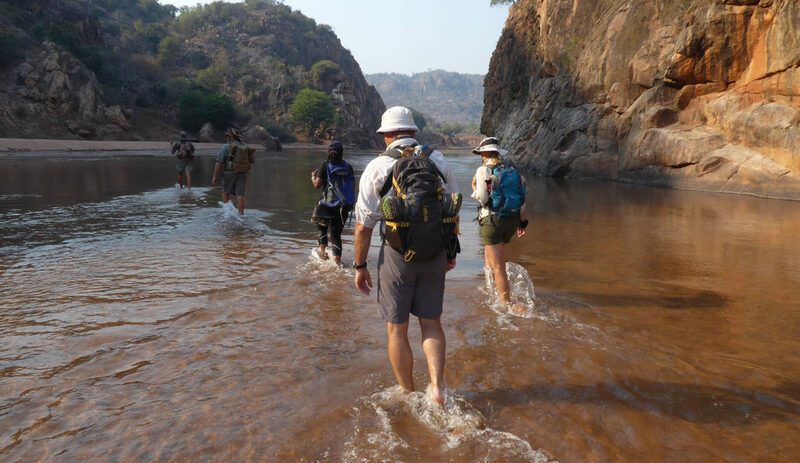 Mapungubwe’s morning walks explore the park’s natural and cultural heritage away from Mapungubwe Hill. To learn more about the Lost Kingdom, a heritage tour (R258 a person) to the hill itself is highly recommended. Walks are led by armed guides and no children under 12 are allowed. Each walk takes a maximum of eight guests. Cost: R470 a person for a three-hour walk. Book at camp reception. • A daypack for your camera, binoculars, sunscreen, etc. • For walking on uneven surfaces and steep inclines, trekking poles are invaluable. 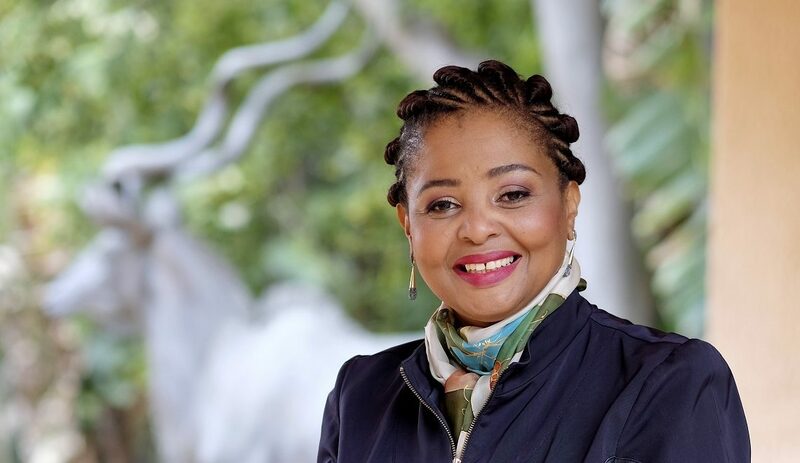 Hlengiwe Magagula is the author of the Guide to Walking in Kruger National Park (R80).